I’m still at it with the gouache! I’ve been a little obsessed with it for months, actually. 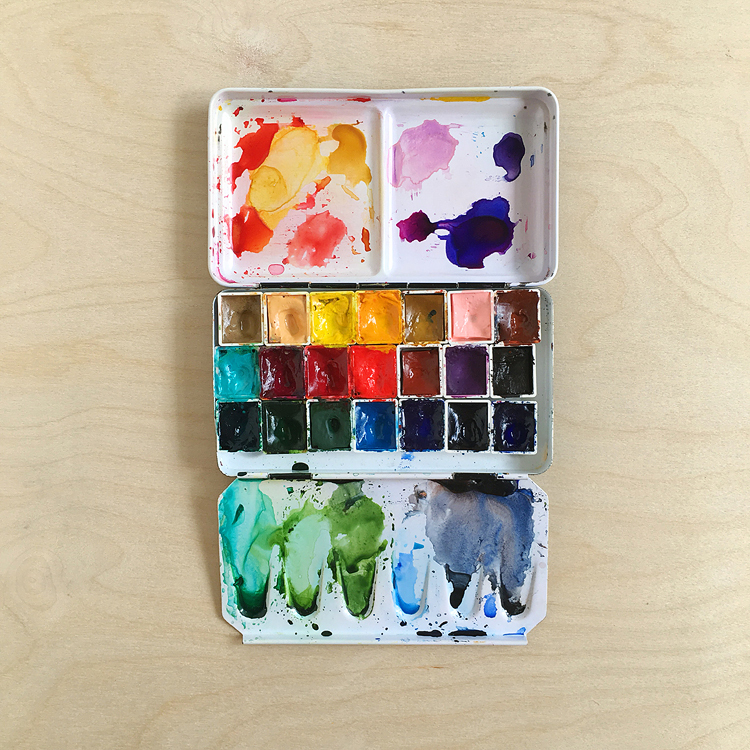 Check out this post for a brief intro to gouache and a set of cactus cards. 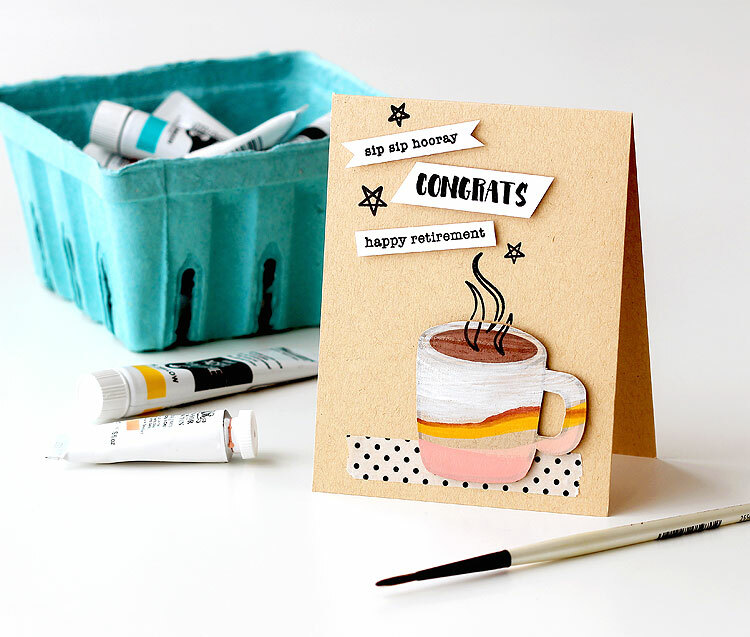 It all started out because I wanted to use this stamp set from Studio Calico — it’s the only one that I have with a retirement sentiment. 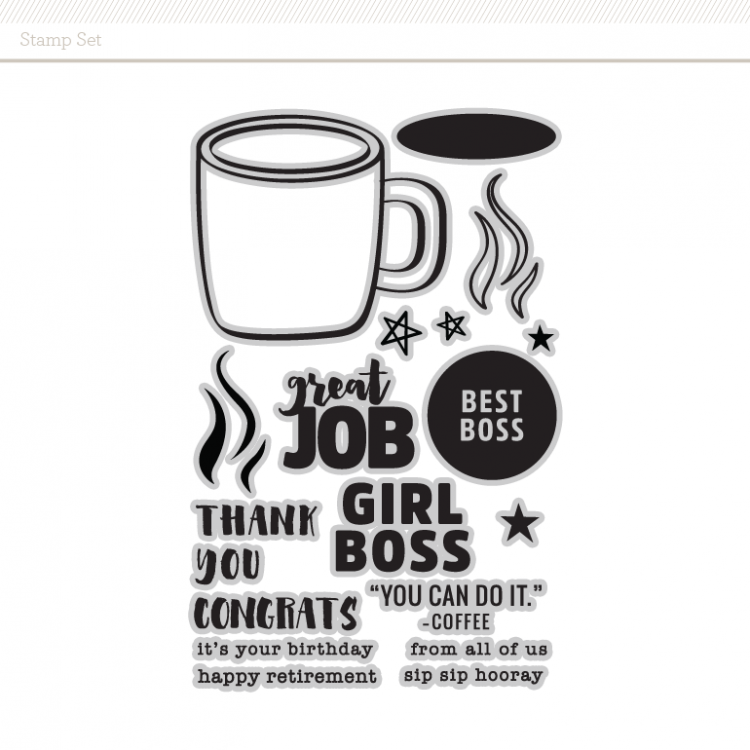 It has a ton of other cute sentiments too! I can’t believe it hasn’t sold out. Aren’t those colors just amazing? 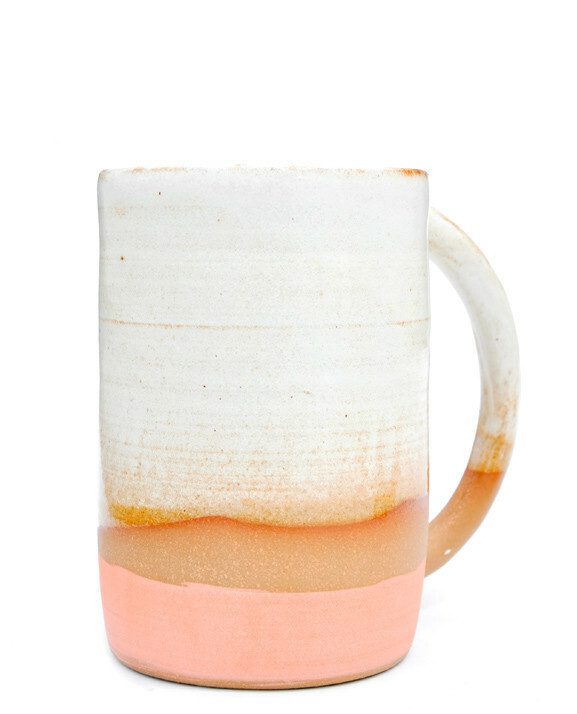 I sure wish I could have purchased this mug but it’s sold out — darn! I guess painting it will have to do. I’ve had it on my wishlist for so long. Guess the saying is true, if ya snooze ya lose! 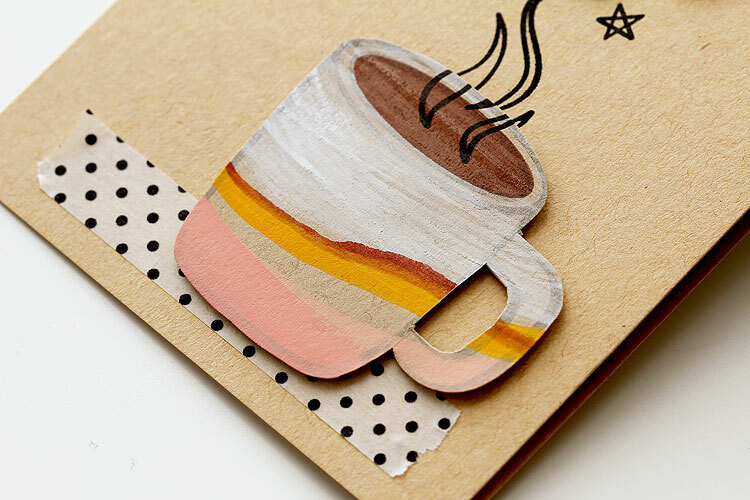 I started off by stamping the mug on kraft paper with soft granite ink. Then I went to town. Love how gouache is opaque so it can go right over the kraft paper. Now how about three ways for using gouache! For the white part of the mug, I wanted to duplicate the brush strokes in the inspiration photo, so I watered down some white gouache and then I brushed it on with a dry brush. The second way I used gouache was to stamp on it! 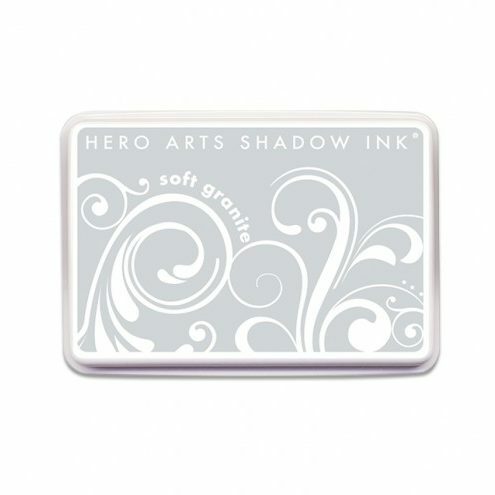 It works great — just as if you stamped over ink or watercolor. Here you can see where I stamped the coffee inside the mug as well as the steam coming up over the top. 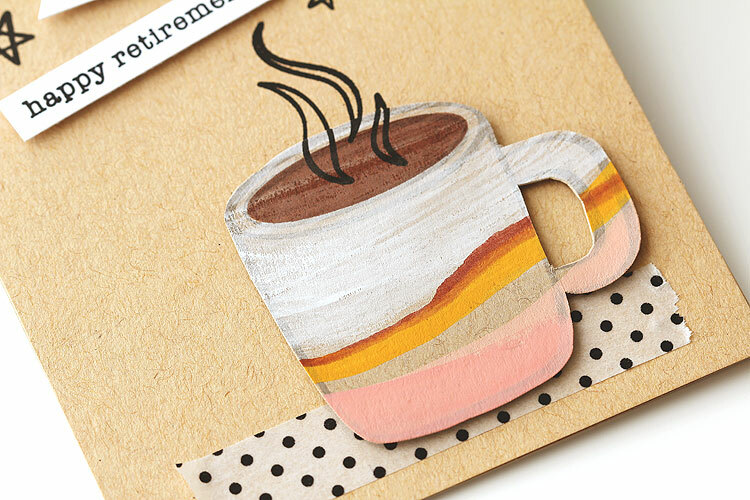 I adhered the mug to the card from using foam tape to give it more dimension. The third way I used gouache was to mix it with watercolor. 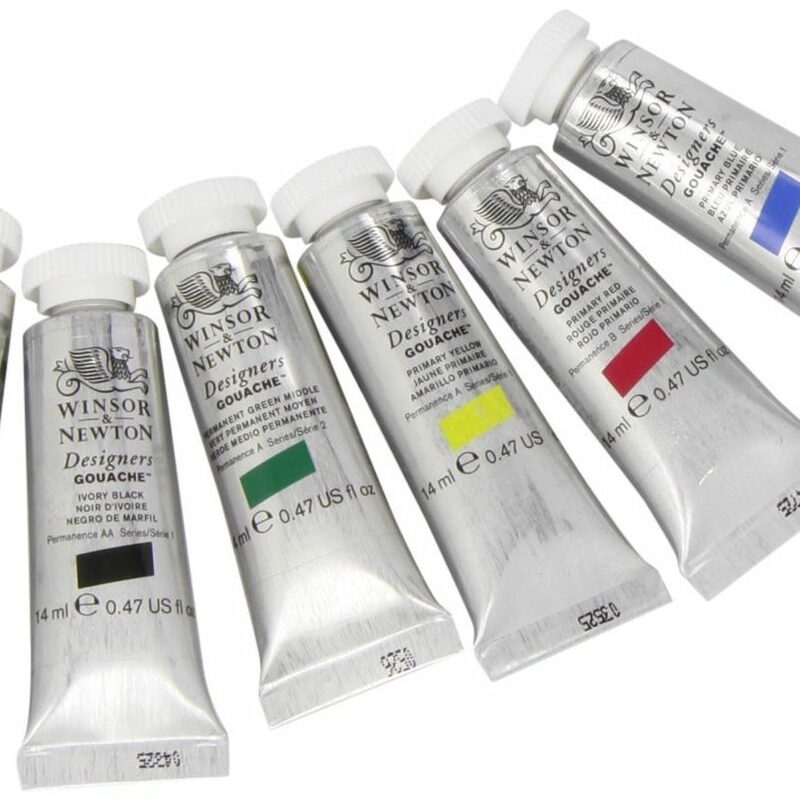 Yes, you can mix gouache with watercolor to make new colors. YEAH! Here I mixed the yellow gouache from this set with brown watercolor to form that middle stripe. I just used an inexpensive watercolor set from Michaels since it happened to be on my desk. I also added a little pink watercolor to my peach gouache (the official name is “flesh tint” but I think peach sounds better ha ha) to form a darker pink. I painted this one on really smooth to get even coverage. Love that matte finish. 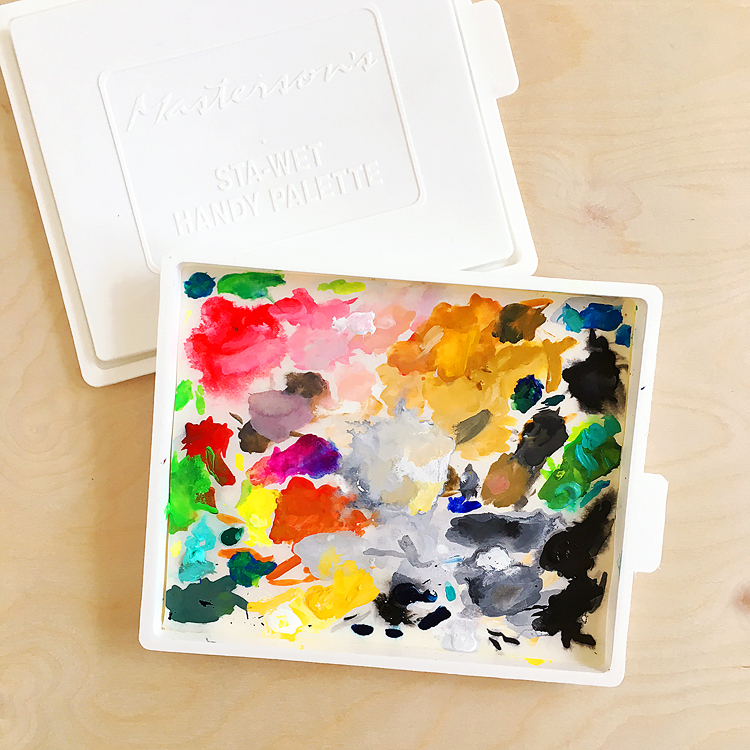 Of course you can also mix different shades of gouache together, too! And there ya have it! I kept the card pretty simple to keep the focus on the gouache. Sip sip hooray! SC = Studio Calico and AZ = Amazon. 20 in 20 — Texas style! Oh wow!! this is simply amazing!! I LOVE how you did this. I so want to try this technique out but I am banned from buying anything at the moment. On my wish list this goes. Such a cute card. Hey, and I learned something, too. That’s always a good day! 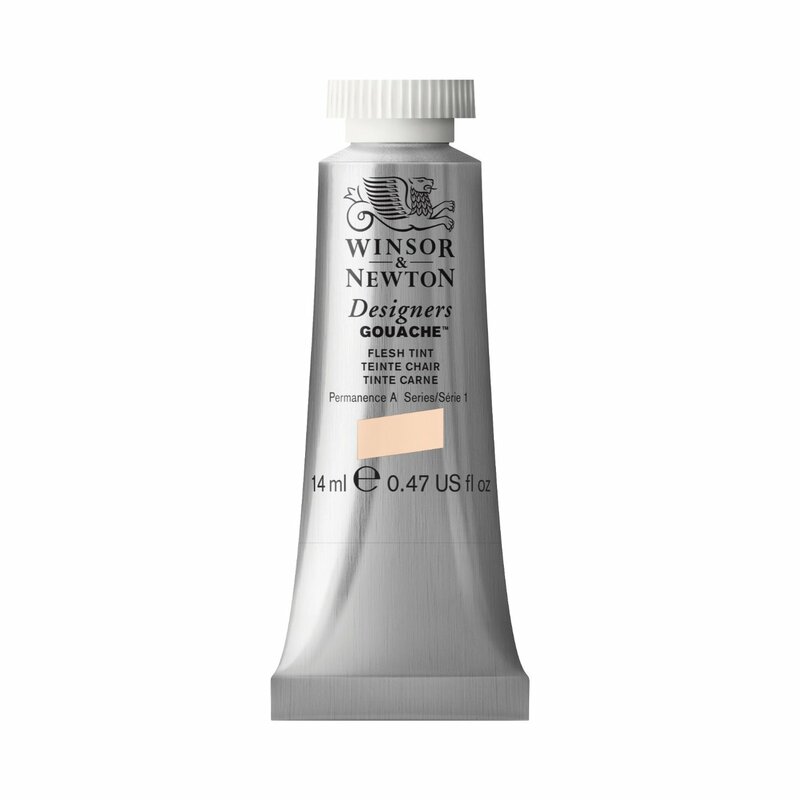 :) I only have white gouache, but now know I can mix watercolor in to create other colors. Thank you! It’s one of those—-why didn’t I think of that?—-Duh! Wow, love your MUG!! 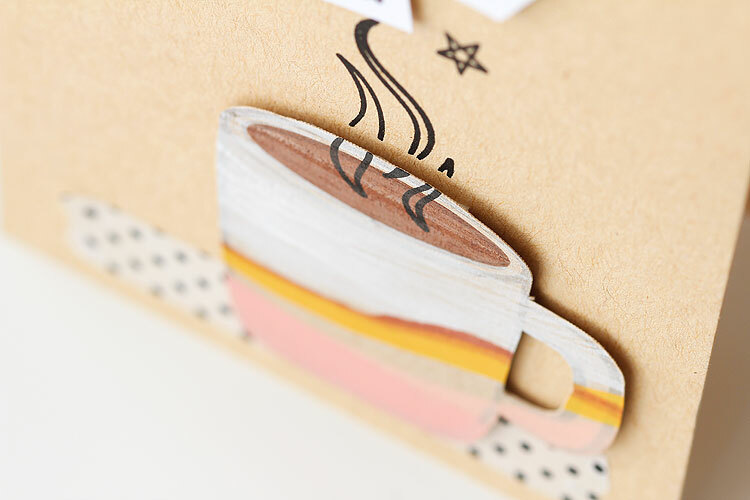 It has such cool colors and shades on kraft card stock! 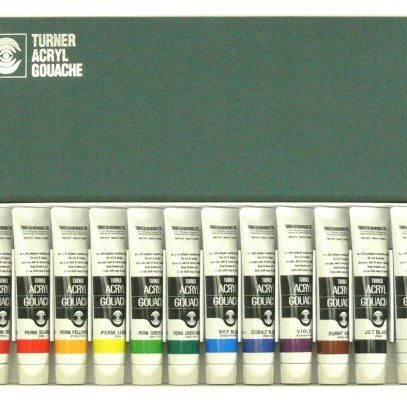 I love that you are on a kick with gouache! More for us to admire and see! Thanks for the inspiration, Lisa!